New Draft Posted: "From the Social to the Human Rights of Labor: Reflections on the Universal Declaration of Human Rights Article 23, the ILO, and Working Rights Principles"
I take this opportunity to announce the posting of a new draft, "From the Social to the Human Rights of Labor: Reflections on the Universal Declaration of Human Rights Article 23, the ILO, and Working Rights Principles" (CPE Working Paper No. 2/1 (Jan. 2019)). 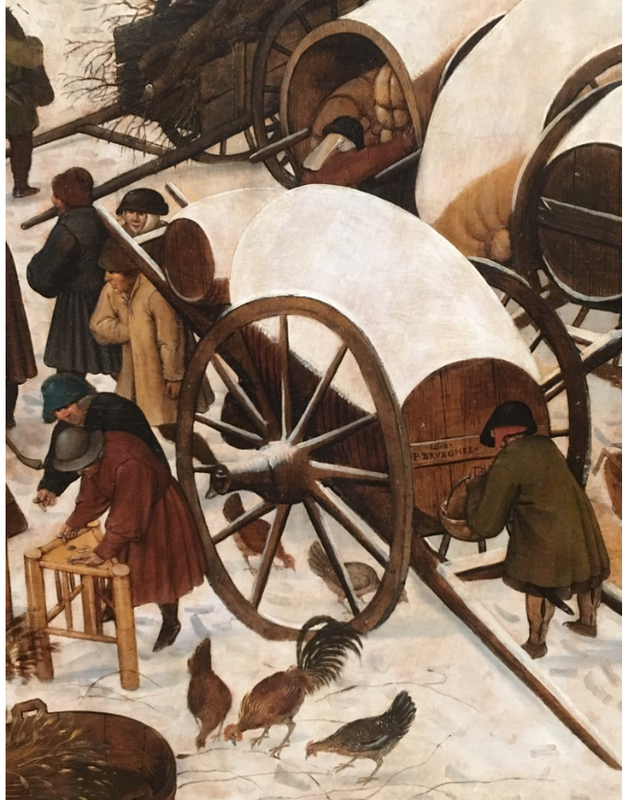 The essay reflects a little about the well known great transformation of conceptions from which society could think about and respond to the "problem" of labor to the contemporary conceptual baselines that shifted the normative gaze from the "problem" of labor to that of laborers within a conceptual framework now focused on the "problem" of the rights of individuals and the obligations of states, enterprises (and eventually) other actors). The expectation is that a final version of this essay may appear in (Humberto Cantú Rivera (ed.) ) The Universal Declaration of Human Rights: A Commentary (Brill/Nijhoff, 2019). The abstract and introduction follow below. The essay may be accessed here. Thinking About Sustainability Reporting: The Conference Board Issues its "Sustainability Practices: Trends in Corporate Sustainability Reporting in North America, Europe, and Asia-Pacific (2018)"
Sustainability reporting is one of the new frontiers of corporate social responsibility within an accountability based culture structured around sub-cultures of risk management and compliance (social and legal). Its character as a frontier challenge for business responding to changing structures of legal and social risk is a function of a number of factors, many of which are both well known and under-explored. All are politically and ideologically contentious. In recent years, our friends at the Conference Board been been examining sustainability issues (e.g., From the Conference Board: Embedding Sustainability Issues in Corporate Boards). 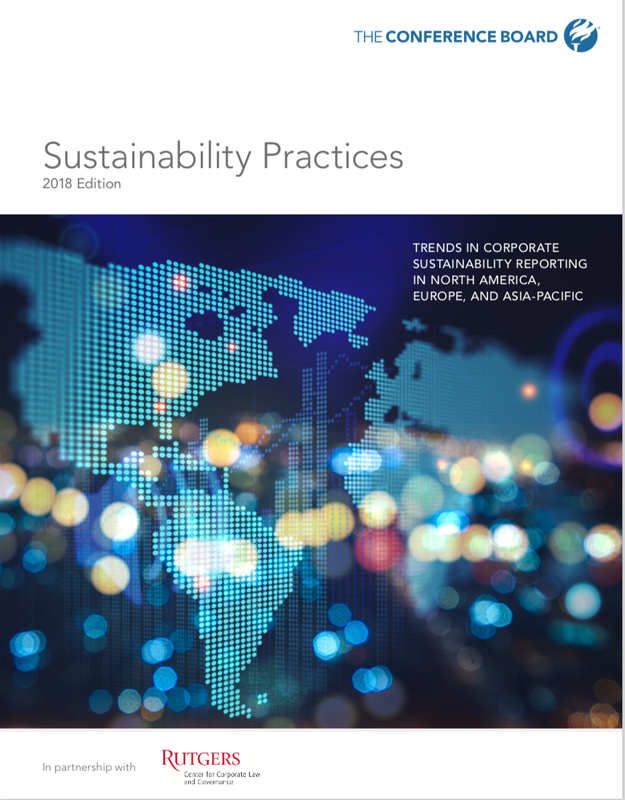 They have just announced distribution of a new data driven report: Thomas Singer, Anuj Saush, and Anke Schrader, Sustainability Practices: Trends in Corporate Sustainability Reporting in North America, Europe, and Asia-Pacific (Conference Board 2018 ISBN: 978-0-8237-1370-7). The Report is worth reading and considering carefully for what it tells us about sustainability "from the bottom up." The executive Summary and my brief comments follows below. U.S. enterprises have been particularly sensitive to the social consequences of executive and board of director conduct, even when such conduct may not necessarily violate the law. 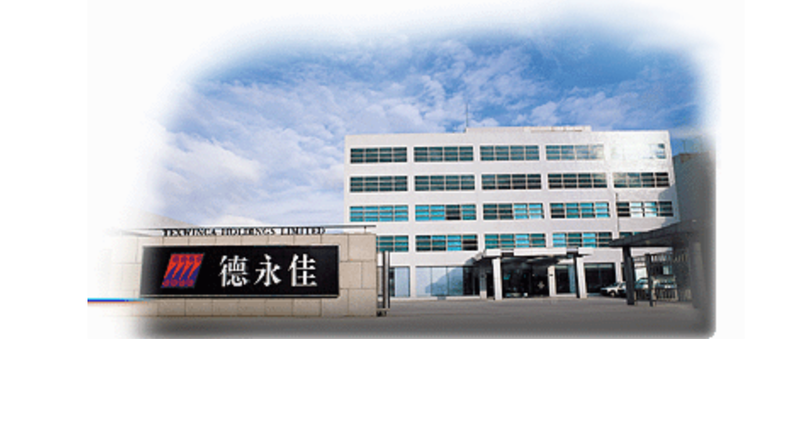 I have suggested the way that this risk management and compliance approach has had substantial effect in the management of a global enterprise's production chain (Human Rights Without Chinese Characteristics and Global Production Chains Within China: Xinjiang and Badger Sportswear as a Harbinger of Dissonance in Human Rights Risk Management). But this approach has also significant domestic effects, especially in the context of enterprise disciplining of board members and officers in response to allegations of charges relating to sexual misconduct or insensitivity, especially directed toward traditionally marginalized groups. A recent Delaware corporate law case suggests the way that corporate action grounded in social responsibility, risk management and compliance interacts with traditional management of legal risk--for all parties. In November 2017, John Schnatter, the founder of Papa John's International, Inc., criticized the National Football League's handling of the dispute between NFL players and owners over national anthem protests during a call held to report the company's earnings. 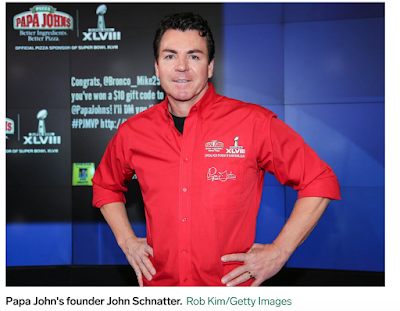 Some in the media portrayed Schnatter's comments about the NFL as racial in nature. In July 2018, Forbes reported that Schnatter used a racial slur during an internal diversity training exercise at the company in May 2018. On the same day the Forbes article was published, the company's board asked Schnatter to resign as its Chairman, which he did. Over the next few days, the board also asked Schnatter to resign as a director of the company, which he declined to do. The board then established a special committee to investigate all of the company's relationships with Schnatter. Within three hours of its formation, the special committee decided to terminate two agreements the company had with Schnatter. While the legal issues are technical, for compliance and risk management focused enterprises the exposure can be significant. The Chancery Court read a broadly a director's authority to inspect books and records--including those produced or stored on the personal devices of board members, and even if the request was motivated in part by personal motives. The judicial opinion, Schnatter v. Papa John’s follows. A good analysis was recently posted by attorneys at Fried Frank Harris Shriver & Jacobson LLP (Court of Chancery Grants the Books and Records Demand of a Director Whose Ties With the Company Were Severed by the Board After His Allegedly Offensive Conduct—Schnatter v. Papa John’s). An American Eclogue on the Cuban Embargo: An Annotated Reflection on Nicholas Kristof "The embargo on Cuba failed. 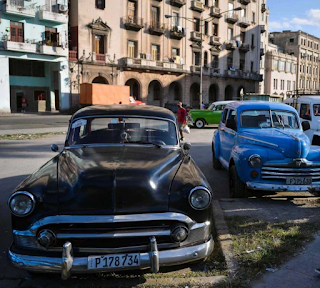 Let’s move on"
"I’m not a Cuba expert, and I don’t know how this country will evolve." (Nicholas Kristof, "The embargo on Cuba failed. Let’s move on" syndicated 24 January 2019 Houston Chronicle Version). It is the rare member of the influence leader elite has has failed to miss an opportunity to share views about Cuba in general or the Cuban Embargo (or the Blockade depending on one's political leanings and ideological loyalty/blinkers). Nicholas Kristof is not among them. Mr. Kristof has just distributed his musings about the Cuban embargo. There is nothing particularly odd about the short essay. It reads like decades of similar eclogues, this one tied to his vision of the Arcadia that is oh so near for the Americans and Cubans. 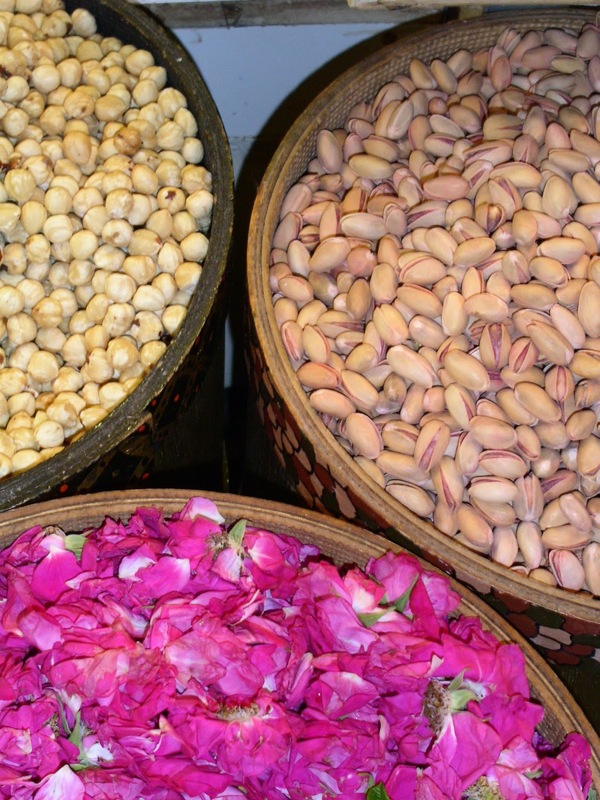 These are usually produced in the flush of a junket to Havana--and are just as usually forgotten. In normal course I tend to ignore these musings of the thought leader class. But this one is worth at least a little commentary, if only to better appreciate the fantasies of Mr. Kristof's version of Cuba's spiritual landscape. What follows is an annotated version of Mr. Kristof's eclogue. For more read my book: Cuba’s Caribbean Marxism: Essays on Ideology, Government, Society, and Economy in the Post Fidel Castro Era (Little Sir Press, 2018), discussed HERE. What happens when the trajectories of Chinese Socialist Human Rights and the emerging global consensus on business and human rights responsibilities in global production chains collide? That is a question that used to be academic. The more muscular development of the premises of Socialist Human Rights has been occurring at about the same time that the structures of business and human rights around key frameworks--the U.N. Guiding Principles for Business and Human Rights and the OECD Guidelines for Multinational Enterprises, long with its dispute mechanism have also become far more important in the way that enterprises manage compliance and risk in their operations everywhere. Recent events have suggested what global trade might expect when these two great forces collide. While the early years of developing consensus practices around supply chain human rights responsibilities had focused on the developing world, conflict and weak governance zones, it appears that such principles may be applied now to manage the supply chain practices of enterprises in all states. 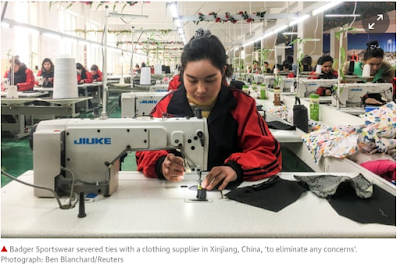 This post considers the consequences and implications of Badger Sportswear's decision to cease its relationship with a Xinjiang supplier. Brief reflections follow. 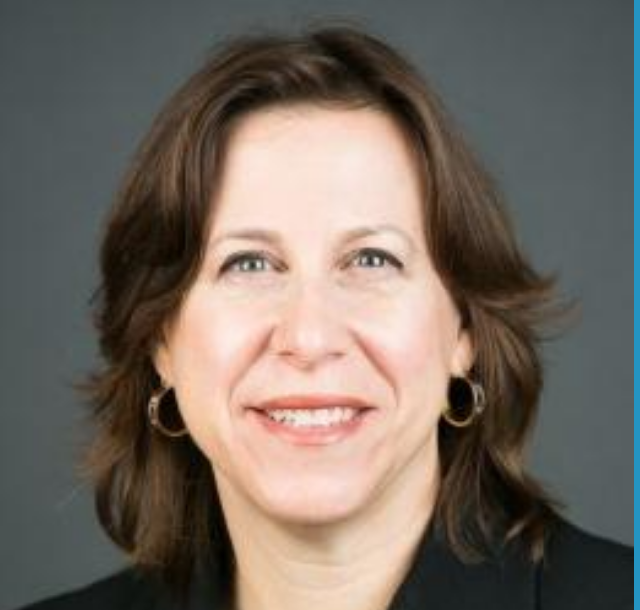 Joanne Bauer, Co-Director of the Teaching Forum, and Michael Santoro, President of the Scholars Association, make public a letter privately communicated to Facebook executives expressing concerns about the exclusion of business and human rights experts in its scholars initiative. We believe that the absence of business and human rights expertise within the Initiative is a missed opportunity and diminishes the capacity of the Initiative. The message of our original letter to Schrage and Ginsberg about the value of a business and human rights analysis to address the ethical and public policy issues raised by Facebook’s data access policies remains as salient today as when we sent it last May, and therefore we have chosen today to share it publicly. 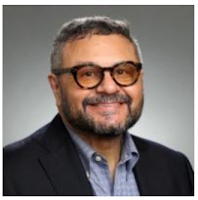 (Teaching Business and Human Rights Forum and Global Business and Human Rights Scholars Association Release Letter Raising Concerns about Facebook’s Electoral Integrity Initiative). I am happy to pass along additional information and links, which follow. Judges and lawyers tend to serve as the worker bees of the large jurisprudential colonies of semiotic communities ("They do all the work in the hive, and they control most of what goes on inside." Worker Bees). They are perfectly suited to the principal task of this "hive," the task of semiosis--of the process of signification in language--to the ends of which they have been well socialized by "teacher bees" in law schools and mentor bees in the law firms and at the great conclaves of lawyers and jurists at which communal socialization and cultural discipline is always a subtext (Broeckman and Backer, Lawyers Making Meaning). The Court has at last revealed (and reveled in) its identity, its equilibrium, and perhaps its mission. This past Term uncovers a Court most productive and at its best (whatever one may think of the results in particular cases) when it eschews grand theory and instructs in the everyday application of the myriad of mundane obligations imposed upon people by court and legislature. This is a practitioner's court, a cobbler's court-and many should be happy for it. ("A Cobbler's Court, a Practitioner's Court: The Rehnquist Court Finds Its Groove," 1998 Tulsa L. J. 34:347, 348). The opinions of Justices Gorsuch and Ginsberg are both short and well worth reading. 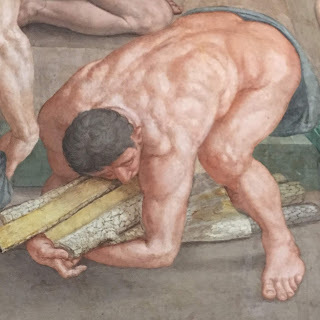 They follow below, along with some brief remarks directed toward the principles underlying the meaning making that serve as the blunt (in this case) tools of these craftspeople. Like good wine or a stout winter bee produced by those who extract meaning form other objects (and perhaps better in some instances), the value is in savoring the opinions, not for the necessarily utilitarian tasks to which they were applied (though that will provide tremendous fodder, and opportunity, to the arbitration communities, of which I will say no more (but see here, here, here, here, here), but for the application of the submerged principles of meaning, applied with vigor and yet neither exposed nor examined. That, of course, is the essence of the worker bee within a hive, sadly in this case, constructed by meaning beyond their competence. I have been circulating information about the two parts of a conference I am helping to organize at Penn State University this coming 12 February 2019. Marxist Leninism 2.0: Theories and Practices of Socialist Democracy in China and Cuba brings together participants from China, Europe, and the United States to consider the way that democratic theory is being theorized and practiced in so-called illiberal states, that is states whose political organization is not grounded in the core principles of liberal democracy. The core insight is that as liberal democracy confronts the contradictions of 20th century democratic theory and moves toward a liberal democratic theory 2.0, it may be possible to begin to understand the outlines of a similar evolutive process in Marxist Lenisit states--a move toward a Marxist-Leninism 2.0 democratic theory. The conference is divided into two panels. 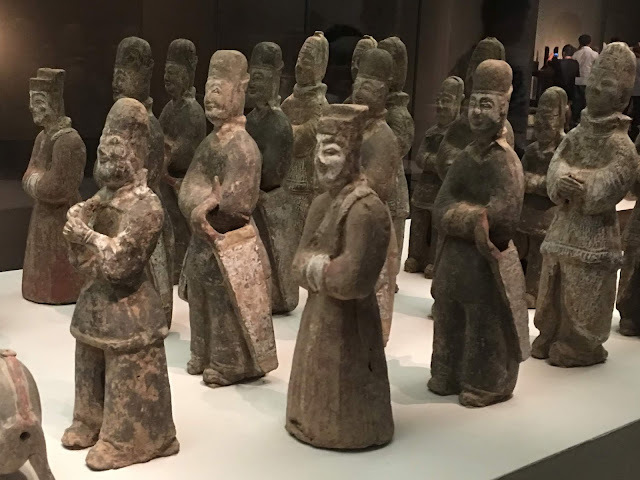 The first, China's Socialist Democracy considers recent developments in Chinese democratic theory and practice from a national and comparative perspective. The core object of participants will be to seek to extract the fundamental theory and characteristics of the emerging systems, and to point to the likely paths to further development. The second, Popular Participation, Representation, and Constitutional Reform in Cuba, considers recent developments in Cuban democratic theory and practice from a national and comparative perspective. Speakers will present the results of their study of popular participation in Cuban constitutional reform: The Democratic Constitution of Illiberal States—An Empirical Approach to Theorizing Popular Participation, Representation and Constitutional Reform in Cuba. The Conference Concept Note follows along with program information. Updated Event information may be accessed HERE. The Conference will be live streamed and recorded for later viewing. We have been writing about the pervasive importance of the Trump Administration's National Security Strategy as a driver of U.S. foreign and strategic policy (here, here, and here). Now it appears that Congress has also joined in driving NSS strategic decisionmaking. 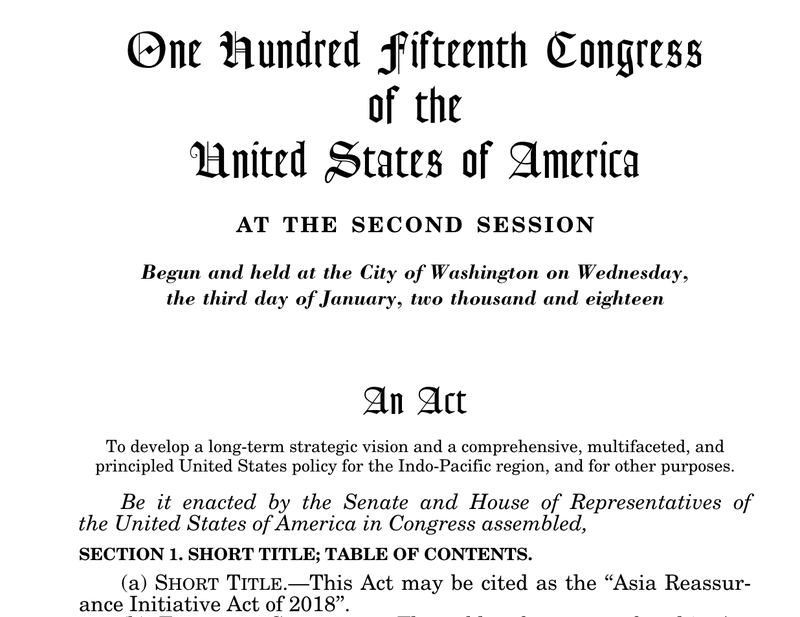 The act represents an attempt by the U.S. Congress to exercise a degree of oversight over the White House’s implementation of the Asia policy that is articulated in the 2017 National Security Strategy and the 2018 National Defense Strategy documents. (What ARIA Will and Won’t Do for the US in Asia). ARIA allocated $1.5 billion for five years for designated programs in the Asia Pacific region. Beyond the expected--a renewed commitment to traditional alliances, a re-commitment to the denuclearization of Korea, and a reaffirmation of support for Taiwanese autonomy--the Act authorized renewed bilateral and multilateral engagement with US partners. Some have suggested that this opens the door to an arrangement between the now effective Trans Pacific Partnership and the United States, something the Trump administration signalled might be plausible as early as October 2018 (e.g., here). A reconstituted TPP would jump start America First in the sense of solidifying a large multilateral trade area within which production chains might be managed in accordance to shared values and insulated, in some respects from competing pressures. But even the threat of a fully reconstituted TPP could put pressure on China's alternative Belt and Road Initiative are least in the sense that it provides potential partners with bargaining leverage and might increase China's costs to assembling its own multilateral trading area. Of course, all of this might be mooted by both the change in the composition of Congress after January and in the tenor and practice of politics at the national level. And once again, national policy might be held captive to the strategic posturings of elected political aristocracies and those who back them behind the scenes all of whom might as much be motivated as much by personal and party interests as by the long term interests of the nation (with respect to which their own dynastic and factional should carry no weight at all). Still, the indication of an inclination among a sufficent number of members of Congress to the extent that might align with reconsidered positions )or reframed positions) of the Executive, could add an interesting element to the construction of both Belt and Road and America First in the Indo Pacific region. And at the bottom of all of this is the continued and perhaps growing importance of the NSS as the operating manual of American foreign and military policy in the coming year. This post includes a useful summary was provided by IndraStra and the text of ARIA. 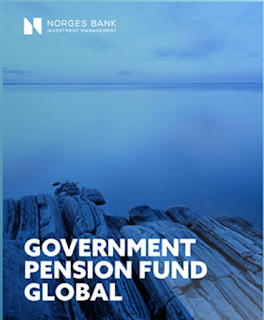 On 6 June 2018, the Council on Ethics recommended to exclude the company Texwinca Holdings Ltd from the Government Pension Fund due to an unacceptable risk of the company being responsible for systematic human rights violations. On 17 January 2019, Norges Bank accepted the recommendation of the Council on Ethics (Press Release here). The Norges Bank also announced the exclusion of Evergy Inc and Washington H. Soul Pattinson & Co Ltd. based on their application of the Pension Fund Global's product-based coal criterion. The Executive Board also concluded that it was not appropriate to use other measures in these cases--and specifically either observation or shareholder engagement. The Council’s recommendation to exclude the company Texwinca Holdings Co has been made public today and follows below along with brief comments. As those with authority (and the "thought leaders" that help drive their thinking) move more relentlessly to governance ideologies of data driven governance and transparency based accountability regimes, it is important to remember that every ideology tends to be applied strategically, and thus politically, to advantage those factions that make up the ruling groups of any community. The result is a a discursive fugue with two principle lines--the idealized ideological line, and the quite cynically manipulative interpretive line. In the absence of mediating mechanisms, the two distinct lines can sometimes substantially diverge (e.g., Data, Analytics and Algorithm as Fetish and the Semiotics of Fake Facts). The politics of data and of the transparency regimes through which data driven governance could be legitimated is quickly embracing its character as politics by other means. Surveillance in our time is being transformed from a general and undifferentiated technique of governance to the active embodiment of governance itself. Surveillance is both the repository of governance norms and the discipline of those norms within any regulatory system. Surveillance is thus a bundle of assumptions, factors, assessments, and actions incarnated on the bodies of the regulated. Surveillance in its modern form represents another step in the perfection of social panopticism, of the creation of systems of social order that are self-regulating and internalized among those regulated. It represents a shifting of coercive power from the external-the state, the police, and the institution to the internal-the individual and the private. ("Global Panopticism: States, Corporations, and the Governance Effects of Monitoring Regimes," p. 112). The consequences of these crisscrossing currents of politics and ideology at the center of the construction of data driven governance emerge clearly in the recent efforts of the Trump Administration to include a question about the citizenship status in the 2020 Census. As is increasingly common in contemporary America, those political issues, framed in law, are left to the courts. In New York v. U.S. Dept. of Commerce, Case 1:18-cv-02921 (SDNY, Filed 15 January 2019), a federal district court determined that the Secretary of Commerce unlawfully exercised what discretionary authority the law allowed in the ways he went about directing the insertion of the citizenship question that unlawfully annoyed some stakeholders and threatened others, in part because the decision was not "reasonable and reasonably explained.” Mfrs. Ry. Co., 676 F.3d at 1096. The entire 277 pages of the opinion are worth reading for the complex interplay of politics, of the legal structures within which governance through data harvesting (strategically conceived), and of the role of the courts in mediating issues of data, data analytics and governance through mechanisms of more intensive structures for caging the exercise of administrative discretion, suggest the emerging American approaches to the construction of data driven governance. For the moment, the legalization of politics, even in the form of data driven analytics, appears still firmly embraced by the governing elites of the United States. By the end of the opinion what emerges clearly are the convictions at data is never neutral, but is instead the expression of politics which is for Congress to control, and that transparency is not a primary premise of the gathering of information that is the Census. Most interesting, though, is the way that the courts have begun to use traditional mechanisms to deal with quite non traditional issues. These issue include the authority to apply politics to data--its formation and determination of what to harvest and in what form). Is this a political issue (something hinted at by the Administration), or is it more an administrative decision with respect to which discretion is both channeled and constrained (something hinted at by the court). If Congress (and administrative agencies) can regulate through data and analytics, do both acquire a legislative character (and when appropriately delegated an administrative quasi legislative character) that can subject both the formulation of data and the construction of analytics (and the algorithms that give analytics political consequence) to the traditional constraints of statutes and administrative regulation, not indirectly through authorizing provisions, but directly as legislative acts in their own right. n a sense, New York v. U.S. Dept. of Commerce, is merely the first salvo in what will be a very long conversation articulated as law and in courts. Perhaps now is a good time to re-read in the quite different light of the second decade of the 21st century an interesting foreign observation of American political culture written in the beginning of the third decade of the 20th century--Édouard Lambert, Le Gouvernement des juges et la lutte contre la législation sociale aux États-Unis. L’expérience américaine du contrôle judiciaire de la constitutionnalité des lois (Paris, Marcel Giard & Cie., 1921. 276 pp.). Lambert spoke to the issue of division of authority over the machinery of politics in the United States; those insights and perspectives may be useful going forward in considering the division of authority among the political and judicial branches over governance modalities that the American founding generation might not have recognized. A short news report of the case and issues follows (Judge rejects citizenship question for 2020 U.S. census) along with a small portion of the opinion. One should expect that the issues developed in this opinion will be revisited on appeal. But will the data related issues be understood in their own right? Stay tuned. 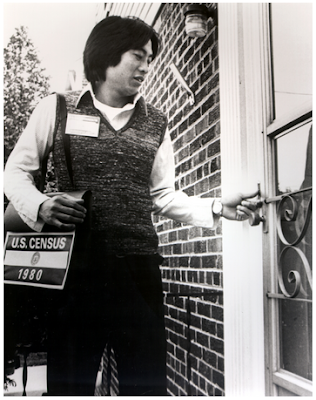 Updates here (Trump administration to ask Supreme Court to decide census dispute). These are quite dynamic times for democracy--as theory, institution, and system. What had once been a term whose contours and applications appeared to converge around global certainties has encountered, in this new era of national and international relations, challenges from a number of quite distinct sources. Though much attention has been paid to the specific challenges within the structures of Western liberal democracies, Marxist Leninist political communities have also encountered the challenges of democracy within their own political systems. It is with that in mind that we have organized an event hosted at Penn State University on 12 February 2019 that may be of interest to those who study democracy in action and the theories around which those actions are grounded. The event, Popular Participation, Representation, and Constitutional Reform in Cuba, brings together scholars from Europe, the United States, and China to consider recent developments in Cuban democratic theory and practice from a national and comparative perspective. Speakers will present the results of their study of popular participation in Cuban constitutional reform: The Democratic Constitution of Illiberal States—An Empirical Approach to Theorizing Popular Participation, Representation and Constitutional Reform in Cuba. 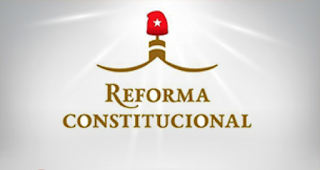 The core object of participants will be to seek to extract the fundamental theory and characteristics that emerges from the exercise in constitutional reform that began in Cuba in 2016 and ends with a national plebiscite in February 2019. The possibilities of democratic consultation in an illiberal democracy suggests consequences not just for Marxist Leninist states but also for liberal democratic systems. The Concept Note Follows. This event, together with China's Socialist Democracy described earlier (see here), are the two parts of a one day international conference: Marxist-Leninism 2.0: Theory and Practice of Emerging Socialist Democracy in China and Cuba, about which more information here. As part of the Coalition for Peace & Ethics's Technical Assistance Project--Reforma de la Constitución del Estado cubano 2018/Reform of the Cuban State Constitution 2018, we have been writing about the contemporary project of constitutional reform in Cuba. That project, as I have suggested in earlier essays, is both a reflection of and constrained by the political and economic model adopted by the Communist Party and embraced by the National Assembly in 2017. This project a larger study of the development of theories of endogenous democracy that increasingly might be used as a lens through which to understand the way that democracy might be practiced within Marxist Leninist systems (e.g., here, here, here, here, here, here, and here). These we seek to theorize and to study in local context. This model of public consultation was then broadened and applied to the project of constitutional revision that began with the adoption of the Conceptualization. The PCC presented a draft revised constitution for consideration by the National Assembly (as reported in official accounts here). Once revised, it was distributed widely for popular consultation. These occurred over a short period of time in last 2018. Meetings were organized all over Cuba at which small groups were assembled to give their opinion of the draft constitution. These were then summarized and delivered to the National Assembly. Additionally there was intense debate in social media and among groups with strong interests in various provisions of the constitution, not least of which was debate about the constitutional protection of gay marriage. The National Assembly met again to consider the popular consultation over a two day meeting (official reporting here). As revised, the draft constitution will be presented for approval. The National Assembly's now final draft has been distributed. It may be accessed HERE. The Coalition for Peace and Ethics has also prepared a side by side comparison of the original and revised draft that may be accessed HERE. In future posts we will provide more information about our empirical analysis of the patterns of popular engagement with constitution making. The analysis will be made available in a forthcoming manuscript, The Democratic Constitution of the Illiberal States—An Empirical Approach to Popular Participation, Representation and Constitutional Reform in Cuba. The event, Marxist-Leninism 2.0: China's Socialist Democracy brings together scholars from Europe, the United States, and China to consider recent developments in Chinese democratic theory and practice from a national and comparative perspective. The core object of participants will be to seek to extract the fundamental theory and characteristics of the emerging systems, and to point to the likely paths to further development. The event Concept Note follows. Updated Event information may be accessed HERE. This event, together with Popular Participation, Representation, and Constitutional Reform in Cuba (see here), are the two parts of a one day international conference: Marxist-Leninism 2.0: Theory and Practice of Emerging Socialist Democracy in China and Cuba, about which more information here. The current state of politics in the United States is well known. I have little to say about the substance of what marks the current fault lines of American politics that has not already been analyzed from many perspectives and ideological baselines. Those fault lines are much in evidence in the current political divisions around immigration. Mr. Trump has sought several billion dollars to fund a wall of some sort on the U.S.-Mexico border; his political opponents have sought to block this request. Broader political issues, along with control of the narrative of American politics are at stake, of course, but this is merely one eruption in that longer term battle among those who drive these things. On the other hand, the current state of discursive aspects of political communication merits far more attention. 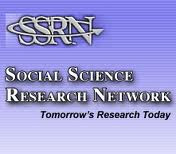 A careful consideration of the way on which figures "talk" to each other as they appeal to the masses through driving social media institutions, the federal government has effectively been shut down for lack of funding, provides insights about the way that discourse itself substantially shapes and limits the ability of people to respond in negotiation. The power of discursive tropes to hobble political discourse, especially in crisis, was much in evidence in the context of the current impasse over the border wall and the government shutdown ('I said bye-bye!' 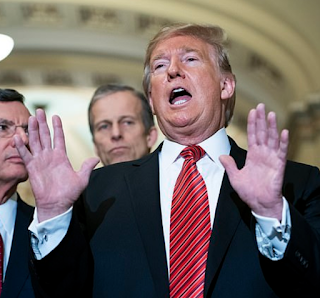 Trump storms out of Situation Room talks with Chuck and Nancy when she says he WON'T get money for his border wall even if he ends government shutdown – then tweets that it was 'a total waste of time'). "This is a humanitarian crisis, a crisis of the heart and a crisis of the soul;" "The President has chosen fear. We want to start with the facts;" "I would ask, imagine if it was your child, your husband or your wife whose life was so cruelly shattered and totally broken;" "This is a choice between right and wrong, justice and injustice;" "Division, not unity. 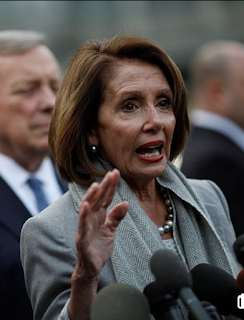 Make no mistake;" "The symbol of America should be the Statue of Liberty, not a thirty-foot wall;" "The only thing that is immoral is for the politicians to do nothing and continue to allow more innocent people to be so horribly victimized." And it is those slogans rather than the words that populate the rest of the respective addresses that then drive the interactions among actors. To get a better sense of the way that discourse now constrains and shapes the wiggle room of political discussion, I have included below the relatively short speeches of President Trump, and the responses of Representative Pelosi and Senator Schumer. It is worth reading these not so much for their substantive content as for the way their discursive style reveals the quite different ways in which they view a shared reality. That style has much to say about the state of American politics in the forms of its expression at the moment. Especially since the start of international efforts to create a single comprehensive treaty for business and human rights (see, e.g., here, here, and here), states have started to adopt legislation that regulates some aspects of the human rights effects of economic activity. This legislation has widely varying scope and effect. Much of this legislative effort has been directed at specific issues--so-called modern slavery and supply chain management (e.g., here, here, and here). These tend to adopt disclosure related obligations (here, here). The object is to create second order regulation--by imposing obligations to disclose with respect to compliance with certain (usually non legal or binding standards within a domestic legal order) the state seeks to effectively impose the underlying obligations on enterprises who wish to avoid the consequences of "bad" disclosure. This effectively uses a form of regulatory governance in which markets provide the incentive to legalize substantive obligations within enterprises without the need to adopt law. Brazil has appeared to open the door to another path--one that echoes developments in private governance much more than the direction of public governance through disclosure regimes. 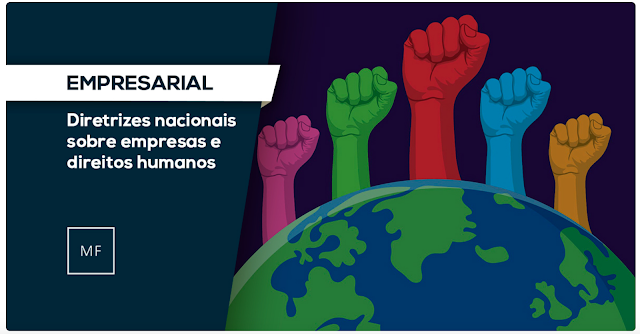 This new approach was embedded into law in Brazil when in November 2018 it adopted a decree establishing National Guidelines on Business and Human Rights: DECRETO Nº 9.571, DE 21 DE NOVEMBRO DE 2018 (Estabelece as Diretrizes Nacionais sobre Empresas e Direitos Humanos). The text of the new regulations follows with a brief analysis produced by Leticia Sarto for Marquez Filho Advogados (Portuguese original with my crude English translation). This is preceded by my brief preliminary observations. New Paper Posted: "Systemic Constraints on the Human Rights Obligations of States, and State Owned Enterprises"
I take this opportunity to let folks know that I have recently posted a draft of a new essay entitled: Systemic Constraints and the Human Rights Obligations of States and State Owned Enterprises. A little bit about the essay: In the contemporary global order constructed through markets and multilateral frameworks of regulatory governance, the state occupies a curious place. The state retains its core function as an apex form of regulation within its territories (even as the forms that this regulation takes shifts from statutes, to administrative rules, to data driven accountability based governance). At the same time, the state has become an important participant within the markets it itself regulates. Through its state owned enterprises (SOEs) and other instruments, the state engages in economic activities within its territories as regulator and producer; outside its territories those instruments of state economic power operate within complex and evolving law, norms and rules functioning like other commercial ventures in global markets. SOEs also share the state's dual character--as market participant and as the projection of state power in markets. This dual character shapes the way in which it is possible to construct (and constrain) regulatory structures for the responsibilities of business to respect human rights. That tension between human rights regulatory structures and the dual character of SOEs is the object of examination of the essay.